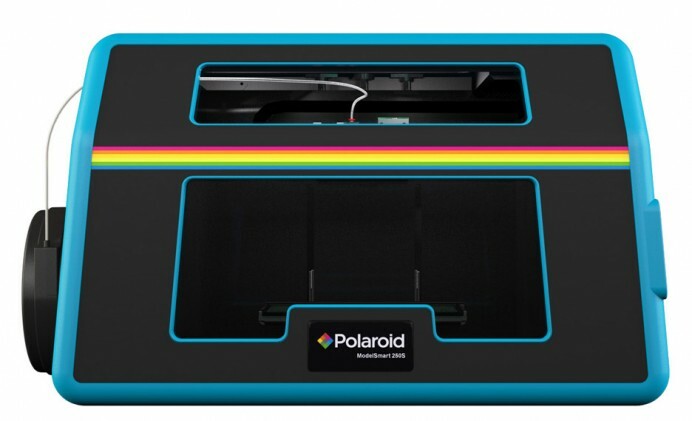 Polaroid have led the 3D printers from the lab to your home. With their line of 3D printers that were showcased at CES in January, the company is proud that it is the first household brand that has entered that 3D printing arena for domestic use. The company has introduced the ModelSmart 250S 3D printer that was created in collaboration with UK inkjet cartridge maker EPB. “Throughout our history, the Polaroid brand has been associated with creating innovative products, but we’re also committed to making innovative technologies accessible to everyone,” said Polaroid CEO Scott W Hardy. “Just as the first Polaroid Land camera enabled people to watch a picture instantly develop, our relationship with EBP will allow us to bring the magic of creating an object right before your eyes to consumers across Europe.” Head after the jump for more information. The ModelSmart 250S will offer a self-calibrating extruder and printing speeds ranging from 20 to 100 mm per second. It will leverage the company’s PLA filament that prints in nine colors. A smart chip in the filament cartridges update the user about the amount of material remaining inside it. It also includes a Wi-Fi-enabled camera to monitor the progress of the objects.